Wallace is the newest member on our team. He invites his friends and family to come by and provide excellence service to them. He provides great knowledge and does his best to provide for you. Come by and Wallace will be glad to assist you! From the moment you step on our lot until the time you drive away in your next car, your buying experience with Cross Pointe Auto is our number one priority. We encourage you to use the expertise and resources of our sales staff; they are here to help you find the right car at the right price. Call us today at 806-351-2886 to schedule your test drive!  David is the Financial Services Manager and has the coveted AFIP Certification (Association of Finance and Insurance Professionals). Jose is born and raised here in the Texas Panhandle in the big city of Canadian Texas! He started in the Auto Industry 15 years ago and has thousands of happy and satisfied customers. Jose's number one goal is customer satisfaction. Jose is proud to live and raise his family here in the Panhandle. After 30 years in the Restaurant business Chris joined the Cross Pointe Team. 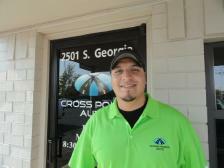 He invites all his friends, relatives and years of acquaintances to come see him at Cross Pointe Auto. Victor is a Sales Professional who takes great pride in providing quality transportation to his customers.